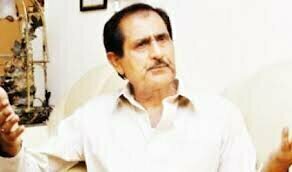 Pakistani Film Industry’s legend Nasir Adeeb is going to be awarded Pride of Performance Award by the Government of Pakistan. He has been living in the hearts of people by opening his rules towards them. He has written 400 film scripts as well as uncountable dialogues particularly of Maula Jutt as well as upcoming Legend of Maula Jutt. Adeeb had a dream to become famous, and joined armed forces as he wanted to get the title of a shaheed (martyr) who is honored with the ‘Nishaan-e-Haider’. Adeeb was from a poor family; he started working for PTV and was selected as the Assistant Programme Producer. After that, he became a scriptwriter and became famous for his noble work. Who else will be awarded on Pakistan Day? The federal government authority presented a list of 127 persons on Saturday, which include 18 foreigners as well, who will be awarded civil awards by President Dr. Arif Alvi. These awards will be given in the honor for excellence in different fields of activities at an investiture event which will be held on the Pakistan Resolution Day on 23rd of March, 2019. These awards will be given to Pakistan cricket team captain named Wasim Akram, cricketer Yasir Shah, former fast bowler known as Waqar Younis, singers Attaullah Khan Esakhelvi and also Sajjad Ali, movie actors including Babra Sharif, Mehwish Hayat, Reema Khan, Shabbir Jan, and Iftikhar Thakur. A TV anchor Arshad Sharif, newscaster Ishrat Fatima, and businessman Aqeel Karim Dhedhi also. Tamgha-i-Imtiaz which is also called a medal of excellence is the highest award given to any civilian in Pakistan, based on their achievements. It can also be given to military personnel and foreigners. The President’s Award will be awarded to the mentioned persons for their work in the fields of arts, literature, sports, showbiz, science, and medicine.